A luxury restaurant not only delivers to its refined guests gourmet cuisine, it should also offers them a superb interior design, to ensure they will spend a wonderful moment surrounded by their family or friends. 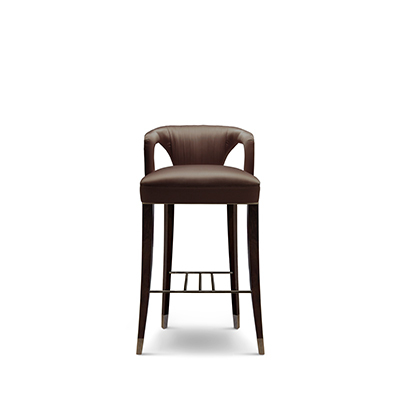 A key element of a luxurious restaurant design is its dining chair. To get inspiration for your interior or your hospitality project, take a look at our selection of dining chairs from the world’s most beautiful restaurants. Enjoy this invitation to travel ! Le Pain Français is a superb restaurant, bar, and café in Göteborg in Sweden. The interior décor will take you back to the days of Jules Verne and Gustave Eiffel. Designed by Stylt Trampoli, the restaurant features IBIS dining chair by BRABBU. 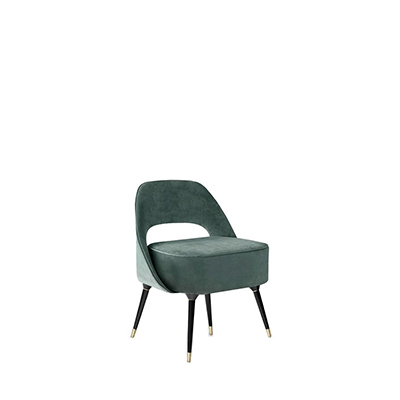 The chair’s design is inspired by the shape of the beautiful bird, notably its long slim legs, accompanied by all the refinement of the blue velvet. It fits perfectly in a home dining room featuring a modern décor. Conrad Beijing is a superb luxury hotel featuring six restaurants. You are guaranteed to enjoy an extraordinary dining experience in a unique setting thanks to the impressive décor of this dining room. The beautiful chairs blend perfectly well wood and velvet to create an imposing, yet sophisticated and detailed design. Joseph Dirand created a gorgeous and glamorous Art Déco interior design at Monsieur Bleu restaurant in Paris. The spectacular result features velvet chairs and green marble, as well as geometrical lighting. The beautiful modern chairs blend amazingly in the overall refined décor of this restaurant. 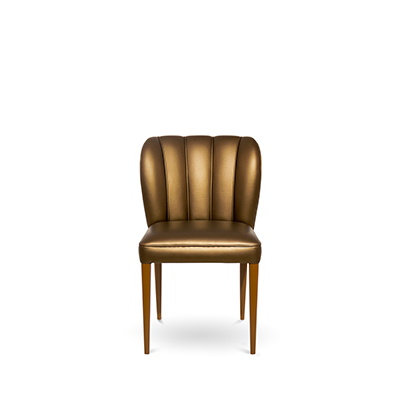 The In Between chair by Sami Kallio is a remarkable piece, notably because of its crescent-shaped back and arm rests. The design of the piece is both light and balanced, which makes it suitable for any room of your interior. Sketch restaurant in London is almost completely decorated in pink. Designer India Mahdavi picked these wonderful pink velvet dining chairs for the interior. They immeditaly catch the eye, while adding playfulness and orignality to the environment. Cococo restaurant in St Petersburg features a luxurious bar and a glamorous dining room where modern Russian cuisine is served. 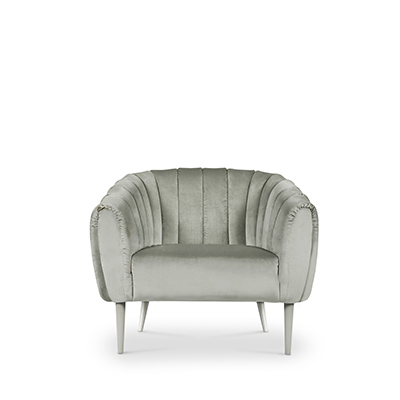 Some of the most standing out pieces are BRABBU‘s ZULU dining chairs and NANOOK dining chairs, here in light blue velvet. They are perfectly suitable to created a refined home décor in your dining room. These red velvet chairs feature a simple yet elegant design, notably thanks to their dark wood and curved back. You won’t have trouble impressing your guests with these beautiful pieces. Did you like this article? For more inspiration, visit Modern Chairs’ Blog and follow us on Pinterest, Facebook, Instagram and Twitter.